Special Offer: Take instant 5% OFF on all orders above $50 (No Coupon Needed). Shipping $6.99 Add item to cart for shipping estimate. You can SAVE on shipping by buying multiple items from the same seller. Shipping is charged by each individual seller. Sellers at times may also provide FREE SHIPPING on select items or on entire order if it meets the minimum order value. Please check sellers page for more details. Vastu Shastra is an ancient Indian science to enhance abundance & prosperity by making auspicious buildings. 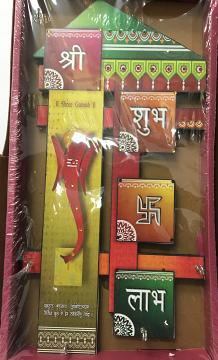 Very ideal to put in the entrance of your house to bring good luck and for key organizer. Shipping Cost $6.99 Buy multiple items online from Dollar Bazaar to SAVE on shipping. All orders are processed within 2 business days. All merchandise is shipped from NJ, USA. You can expect to receive your order in 4 to 5 business days once shipped. Orders are shipped using USPS or Fedex. Shipping Fees are based on weight of your order and starts at $5.75, excluding Alaska, Hawaii or Puerto Rico (these may have additional fees). Sales Tax: We charge 6.625% Sales Tax on all orders. To return/exchange a merchandise, please contact us within 2 days of receipt of shipment to get a Return Approval. Once approved, please make sure to post mark the return shipment within 5 days of receipt. Origination shipping charges (even if shipped free) is deducted from any refund / exchange are not refunded unless you received a damaged item. This item in Home Decor category was first added to our catalog on 12-14-2016. 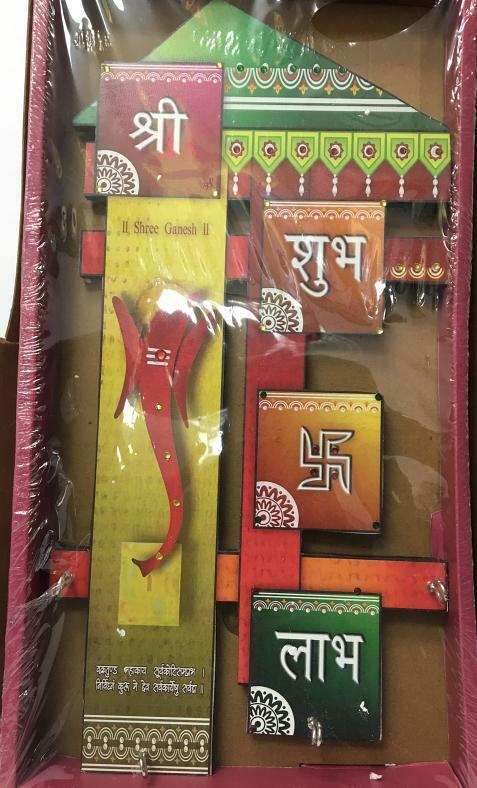 Buy Vastu Shastra with Key Holder Wall Decor, sold & shipped by Dollar Bazaar where you can shop online for Indian Handicrafts, Home Decor & Traditional Gifts. This Vastu Decor collection has been tagged as Traditional Wall Art, Home Decor, Vaastu Shahsta Sastra Feng Sui. Note: Since many of the items are handmade, some irregularities are common and is part of the manufacturing process. Oxidized DryFruit / Mukhwas Box w/ Spoon - 5"